Shebeen flies the flags of craft beer and three countries. From the styles of beer he’s concocted and actually plans to sell, brewmaster Rich Visco sounds legit when he talks about his brewing persona. The homebrewer-turned-brewery co-owner gave me a tour today of his Shebeen Brewing Co. The former machinist shop in Wolcott, Conn., looks like it was built from the ground-up to be a brewery. It’s already got the floor drains, the vertical reach that cries out for stacks of kegs, and what looks to be a promising tasting room. More importantly, it’ll have that weirdness. Along with an IPA and a pale ale, Shebeen will be ladling out a bacon, oatmeal, coffee stout (that’s one stout, not three); a wild concord grape saison; and a dessert explosion aptly called a cannoli beer. The brewery is set to open this spring. I’ll have a full column on Shebeen Brewing in a March Republican-American column. In the meantime, like them on Facebook. 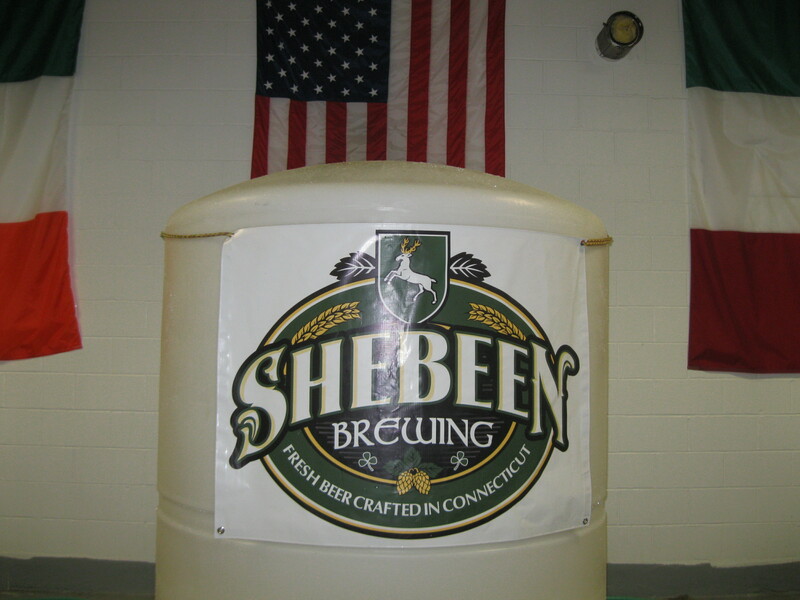 This entry was posted in Beer Snob and tagged Connecticut, Shebeen Brewing. Bookmark the permalink.